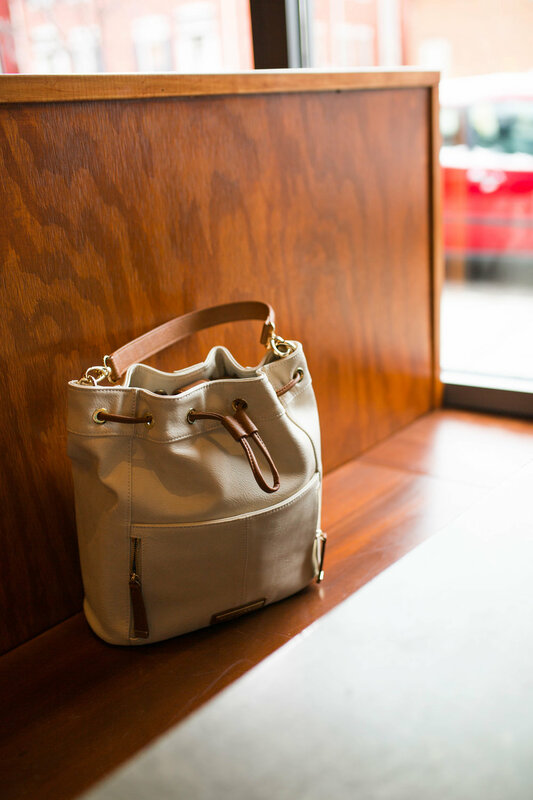 This post is a collaboration with Kelly Moore Bag. I've been a customer of theirs for years. 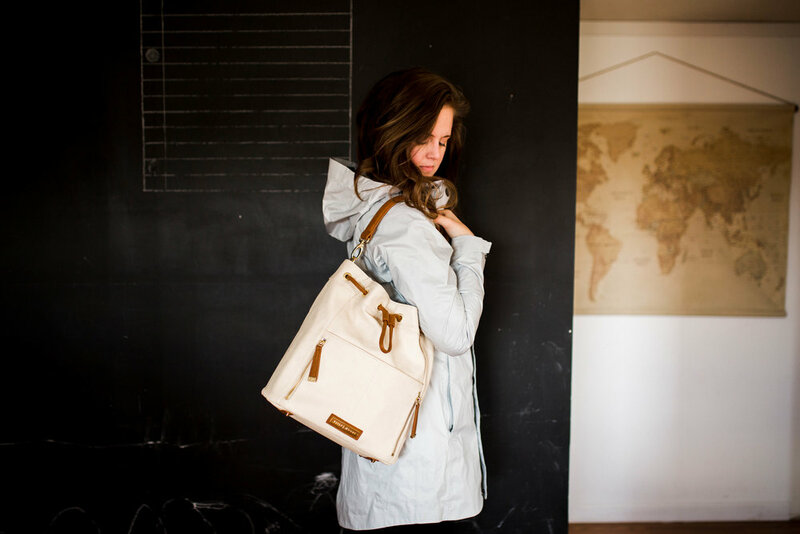 We owned a messenger style from them as our first diaper bag as well as a backpack style (The Pilot). I reached out to them because I wanted review their Austin Bag (a vegan leather bucket-style purse/camera bag) and they graciously agreed to send one over. This post is my review of it. Let's talk about being grown up. What does that feel like exactly? I read a quote once that went something like this: "Nothing will ruin your twenties like thinking you need to have your entire life figured out in your twenties." I don't know who said that originally (if you do, please let me know!) but, my goodness, it resonates strongly with me right now. I'll be twenty-nine this June. And guess what, it's a rare thing for me to feel like I've got everything mapped out, to feel grown-up. As silly as you may think it is, this bag from Kelly Moore, helps me feel like more of an adult on those days when I get down about still having such a long way to go. Yes, I'm serious. I've never been a "carry a purse" kind of woman. For whatever reason, I just don't. But having used this bag for awhile now, I'm really in love with idea of having something that carries just my things. But let's be real, I can still throw snacks and diapers in this thing if I really need to. The compact, easy to access design. 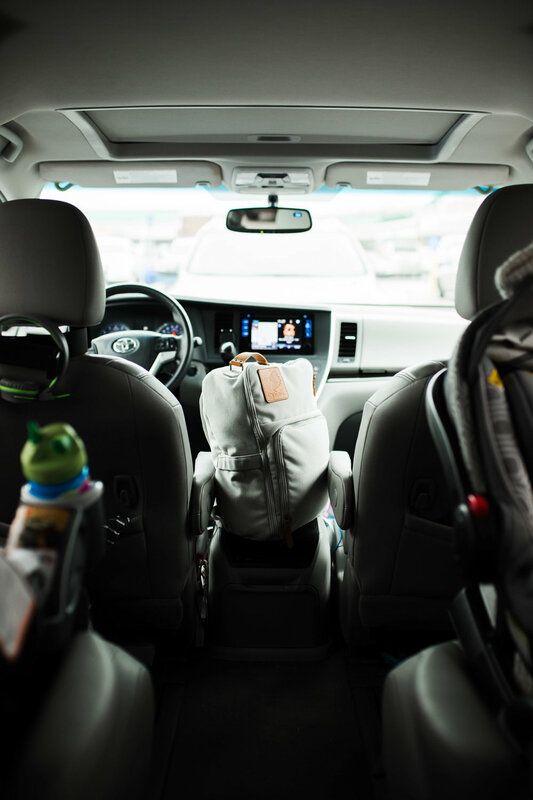 I can fit our DSLR camera, my phone, a small notebook and pen, as well as all the baby necessities if the situation calls for it. Everything inside can be gotten to quickly or secured safely with the drawstring and snap closure. The material. Let's be honest, this season of motherhood comes with every imaginable spill, stain and form of spit ups. I've had this bag for months now and it still looks almost brand new. Anything that happens to splash on the outside simply wipes off. The versatility. I use it primarily as a camera bag because of the padded insert (with dividers!) But the insert is completely removable if I wanted to use this has just a simple purse. It also comes with a longer shoulder strap if I want to wear it messenger style. 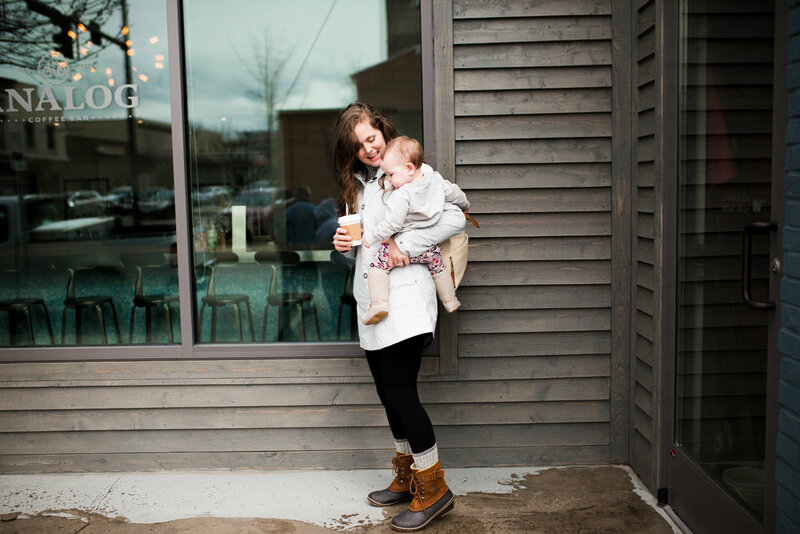 We made a visit over the weekend to our favorite local coffee roasters, Carabello Coffee. Inside, they have a wall where people leave little notes and jotted thoughts in the cracks of the exposed brick. While Jonathan was ordering our drinks I tucked into this cozy booth with the kids. Behr was completely caught up in pulling out different scraps of paper from the wall and insisting I read them aloud. Eventually, we unfolded the one pictured below. In this season of life, my days can become monotonous. Raising two babies who can't even feed themselves or go to the bathroom unassisted can all start running together. Add in a regular routine or irregular sleep and sometimes I can hardly differentiate one week from another. But, every so often I do "look back". I think of who I was ten years ago, five years ago, last year. That's when I realize how much I've changed. It's strange though, because at every milestone, I never felt like I was grown up yet. I just felt like I was making it up as I went along. Maybe I'll stop trying to call myself a grown adult, and instead make my peace with always being a growing adult. I mention this often, but I'm still very much in "figuring it out" mode. I'm ok with that. I've come to understand that I don't want to ever get to a point in my life where I think: "I'm done. This is it. I have nothing left to learn." But at the same time, I want to walk confidently in the woman God has made me to be thus far. This is an honest struggle for me. As with most things in life, it's about accepting the dance of living with both emotions. Here's to loving where I'm at while still expectantly hopeful for who I'm know I can become in the future. And for those days when I'm needing a secret, "Yes, I actually am an adult woman." confidence boost, I'll have this pretty little bag slung over my shoulder. Don't let anyone fool you, life with multiple children is good. Like, so good. And it's also time consuming. And it's also magical. And it's also exhausting. Essentially, this lifestyle is a beautiful chaos of ups and downs, of breathtaking views and knee-scraping valleys. I need reminding on somedays but, this is what I signed up for. I wouldn't want anything less. Ok, actually I maybe do want less. As in, less things in my life that add to the chaos of what it already needs to be. We're all about simplifying things over here. From our schedule, to the items we bring into our home. Simplicty is the overarching theme. 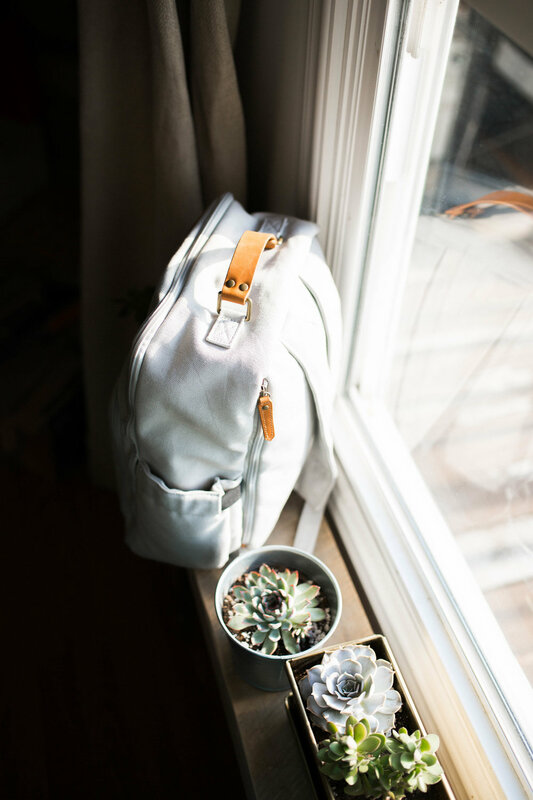 I initially reached out to Adina because I admired the 'look' of her backpacks but now, after using it for several weeks, I'm totally in love with how effortlessly it fits into our life. The simply beauty. I keep mentioning it but, since having kids, I get excited over products that we have to have anyway that are designed with beauty and functionality in mind. I love that we don't have to comprise on either with our Whirlwind Bag. The lightweight and compact design. 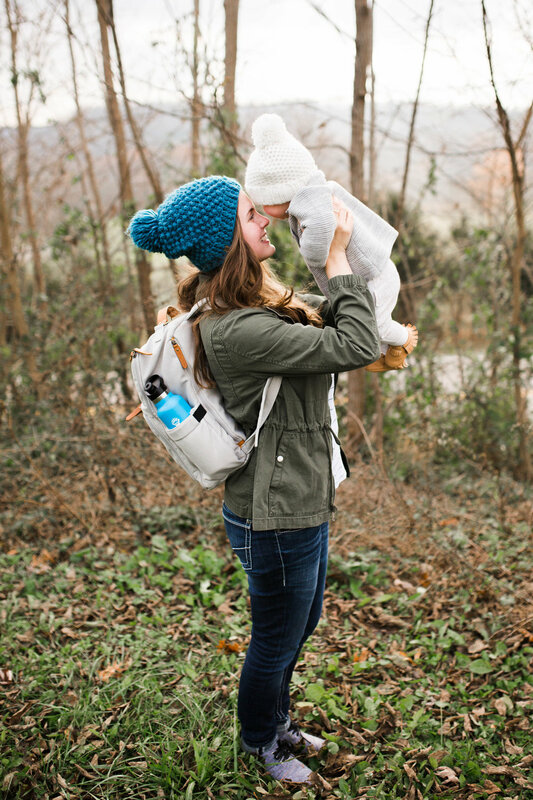 Since we're already lugging two kids around, the last thing we need is a bulky diaper bag that's already heavy before we stuff it full of everything we need. The primary zipper design that goes all the way down on both sides. It offers such easy access to everything inside. 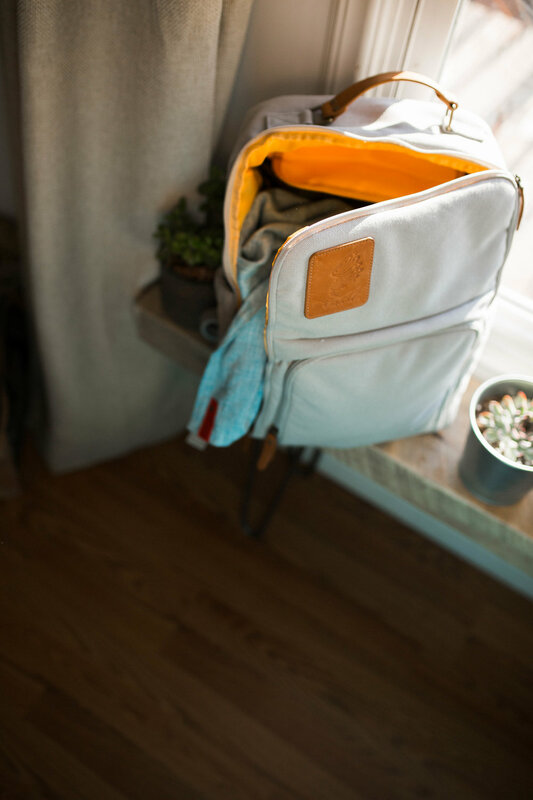 The two side pockets with elastic tops. They're both big enough to hold water bottles and sippy cups. But also secure enough at the top for me to slip my phone in if I need and know that it won't fall out. The capacity. With how slim the profile is, I was pleasantly surprised to find how much we could fit in this bag. It holds everything we need for an outing with Scout and Behr with room to spare. We've taken our bag everywhere. 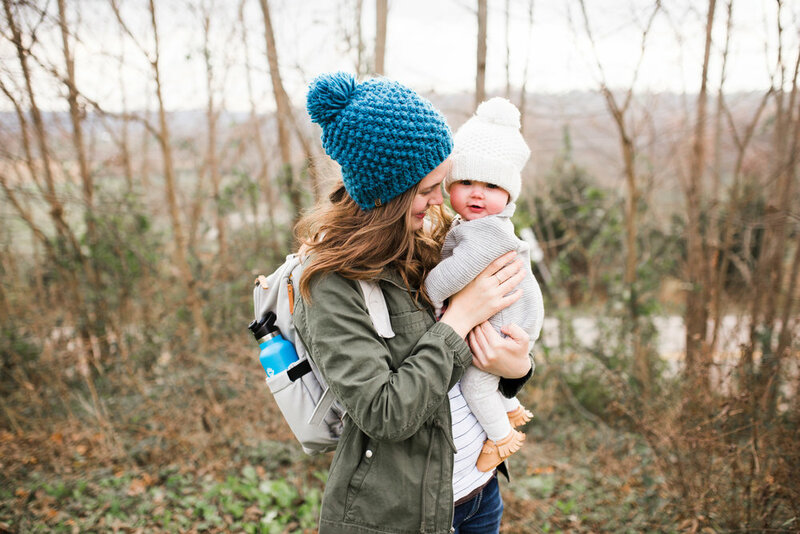 From quick trips to run errands in town, to romping around in the mountains of Tennessee, to hiking in the park across from our house. It's held up through all that beautifully. At one point, it got stained up and I didn't get around to cleaning it for a week or too (because, well...kids) but when I finally did clean it, the stain lifted without any issues at all. 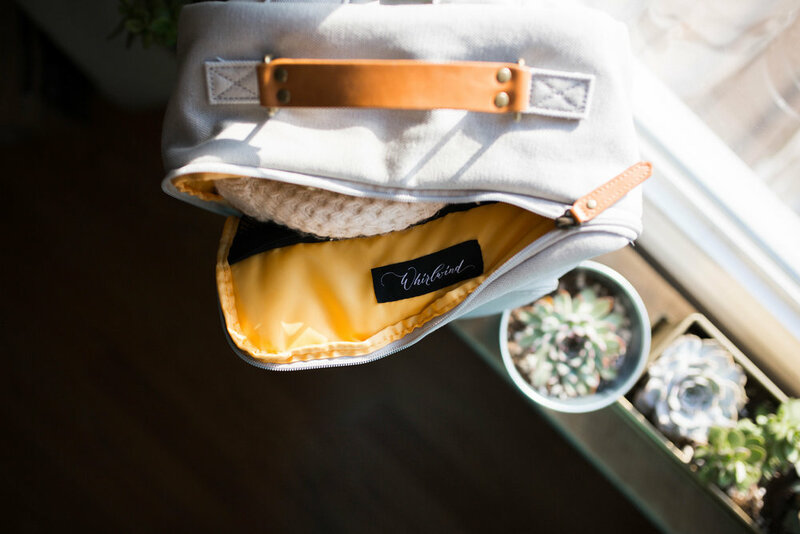 It's also a totally "family style" diaper bag that blends feminine and masculine styles in such a way that both Jonathan and I can enjoy wearing it. As any mom knows, having kids means having learn how to do everything one handed. It gets even trickier once you start adding more kids. 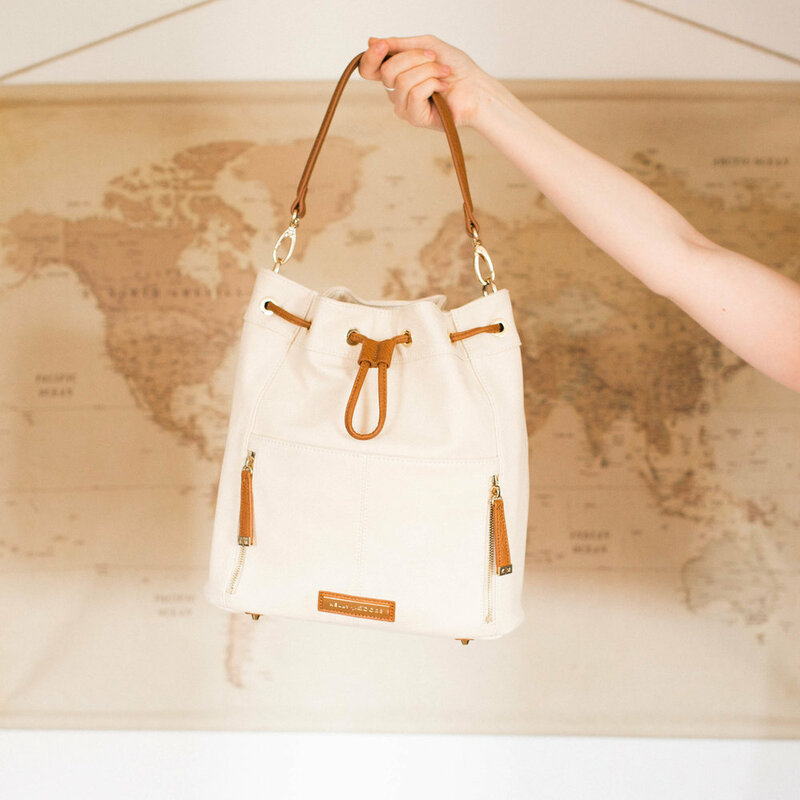 I so wish I would have had this backpack style diaper bag when Behr was born. It's much more functional! And, of course, if you've been around here any amount of time, you know how much I wear my kids. This backpack is a perfect compliment to that as well. I can't say enough how grateful I am for well-thought out products that we can incorporate into our everyday. 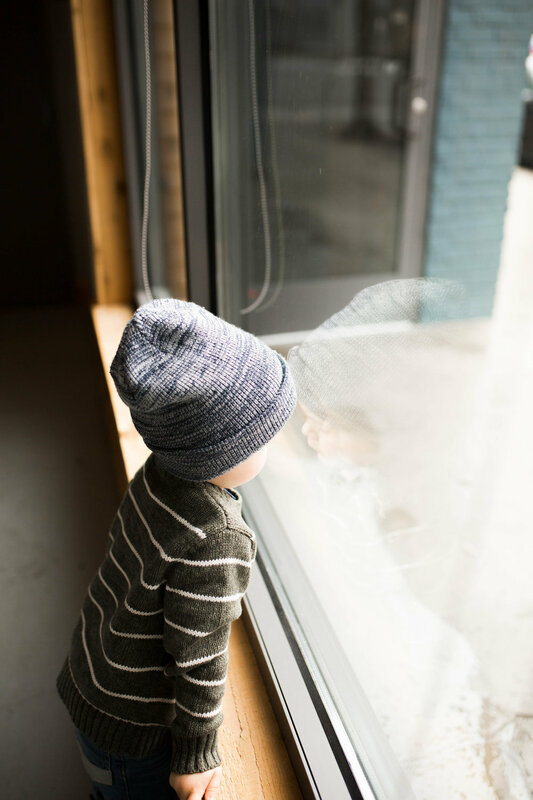 As parents of little ones, we crave necessary products that have the ability to enrich and simplify our beautifully messy lives with the way they blend into our days. The Whirlwind Bag is just such a product. So, here's to this intense, soul-growing season of life. I have to choose to embrace it as it comes (like every hour some days, ha!). 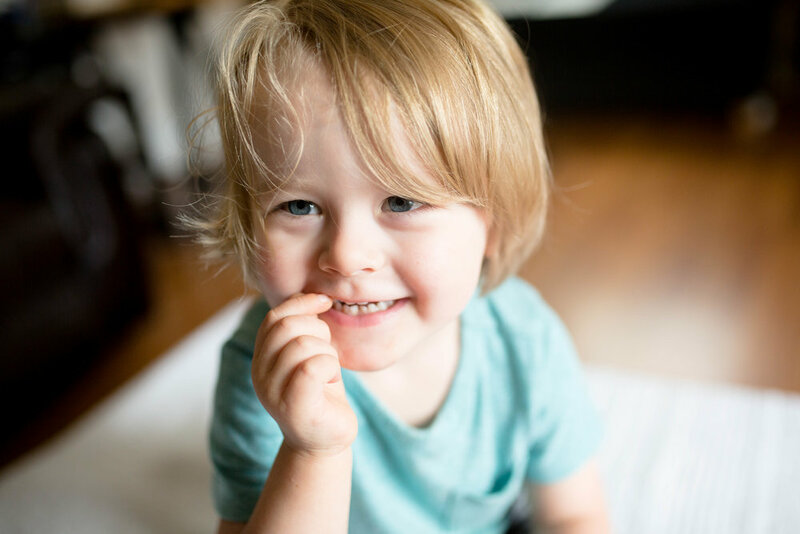 Bring on the sleeplessness, the gummy smiles, the emotional outbursts, the milestones, the toddler snuggles and baby coos. Give me the weight of them in my arms and the joy of them in my heart. This is exactly as it should be. This season of my life is simple. There's an ebb and flow to our days that's teaching us how to love in the simplest forms. It's holding their frames in my weary arms. 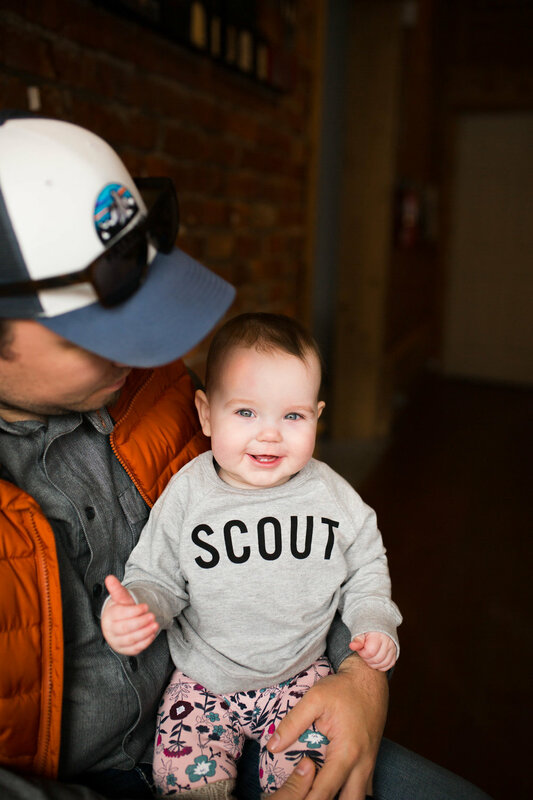 It's nursing Scout while trying to navigate Behr through a three-year-old emotional outburst. It's singing them both to sleep; one in the Solly Wrap and one in my arms. Our life has been stripped down to the basics of comforting and caring for two tiny humans. I'll admit that sometimes I resent the monotony (and the intensity) of it all. But I keep telling myself, These are the days, don't wish this away; don't miss out on the beauty in your mundane. And I've found that when I lean in--instead of begrudge--the simplicity of what my life has to be for this short season, I flourish. Today, I want to talk about a company that's helping me to do just that. 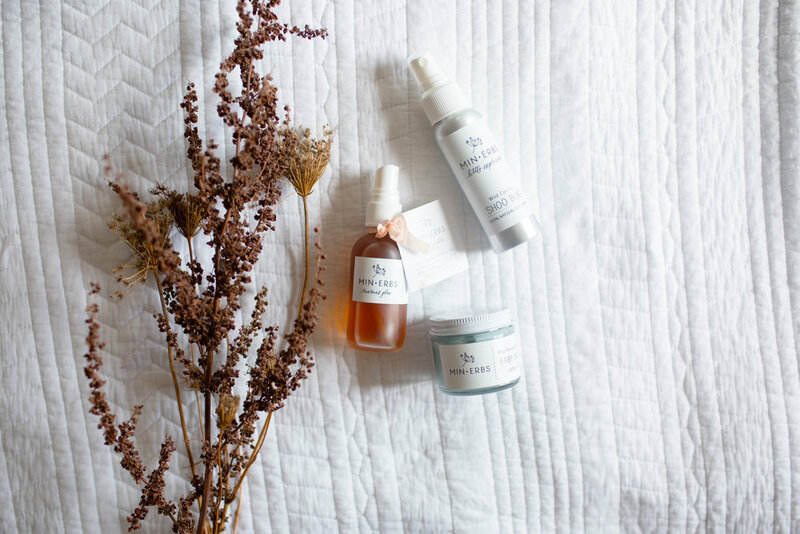 Allow me to introduce you to an all natural skin care line (and the wonderful women behind it!) called MinErbs. If you read 'till the end you find a sweet surprise they've offered to all of you! 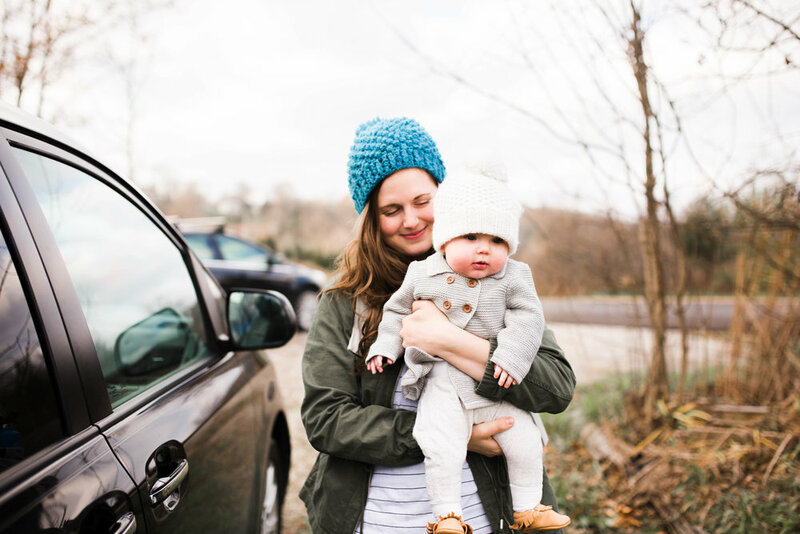 There's something about entering motherhood that opens you up to a whole new level of awareness. My senses have been sharpened to the dangers and wonders of the world . I fiercely want my children to be shielded from and deeply enjoy both. So when sweet Nikita sent me these products I was so excited to incorporate them into our life. Each product is made in small batches using only 100% locally harvested or ethically sourced ingredients. 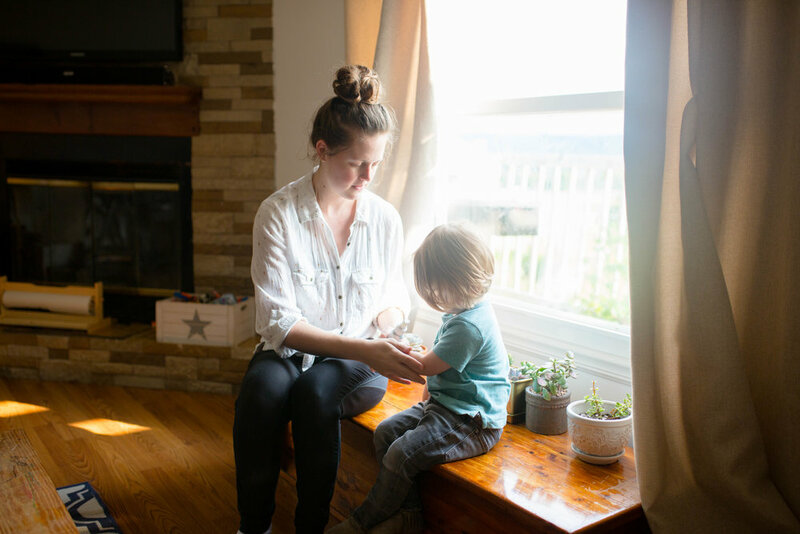 I feel entirely safe using them on myself and our babies to protect and nourish our skin in healthy ways. Both of our children deal with mild dry skin from time to time and the Baby Butter has helped so much with that. We keep the Shoo Bug spray on hand for Behr as he enjoys the last days of summer (but not the pesky the mosquitoes and ticks we have around here). And, finally, I'm in love with the Rose & Bramble Toning Mist Spray for myself. Once again, the song of my days is simplicity, so I only use this product and coconut oil as my "facial routine". And, so far, my face hasn't experienced any of those typical, hormone induced breakouts. I don't even wear foundation now and feel completely confident in doing so. 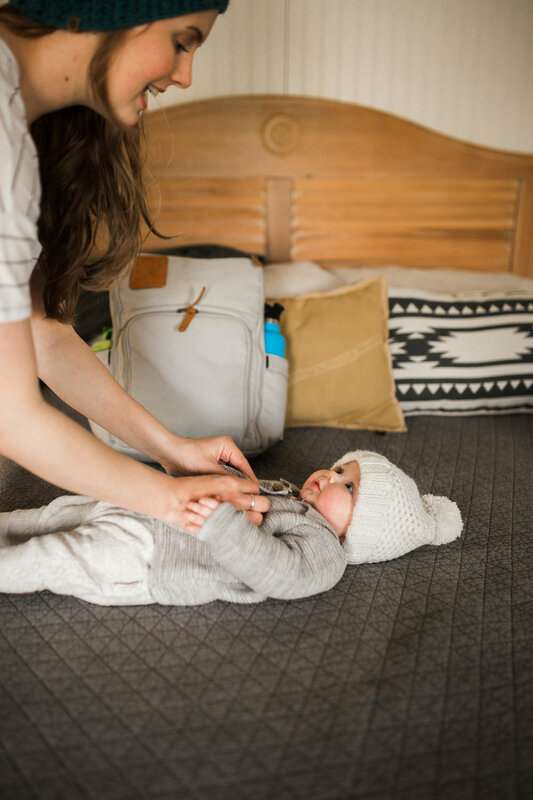 I'm proud to share about brands like MinErbs because I can personally assure you that they're run by genuine souls who truly about the products they lovingly create for your families. Please take a moment and read their story and why they do what they do. I know you'll fall in love with them as fast as I did. And because Nikita & Simona are amazing humans they're offering all of you dear readers a 25% discount with the code: BREABIRD25 through the end of August! So here's to the simple, slow, soft days. The ones that blend together and seep into memory like raindrops on thirsty ground. What a privilege to hold this sacred space for the ones I love.